Everyone makes typos and mistakes with spelling and grammar. 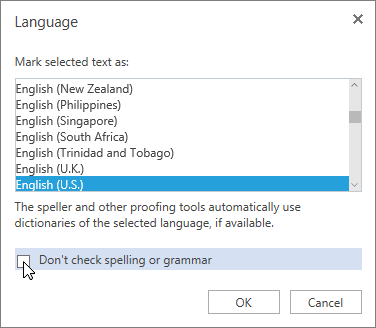 Fortunately, Word Online makes them easy to find and fix. Right-click the underlined word to make the correction (or ignore the suggestion). 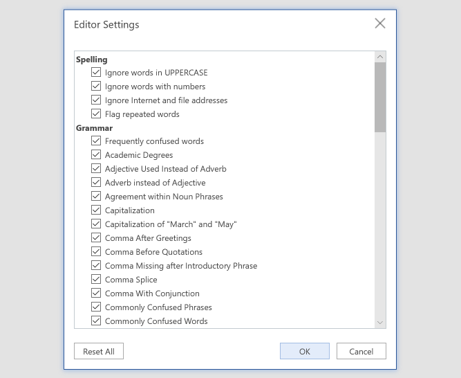 Tip: There's no way in Word Online to add your own words to the spelling dictionary, but you can choose to ignore suggestions, and you can turn off proofing tools. On the Review tab, go to Spelling and Grammar > Editor Settings. Check or uncheck settings in the menu according to your preferences. Choose OK to save your customized settings. Select the text you don't want checked. Select a portion of your document or the whole thing. 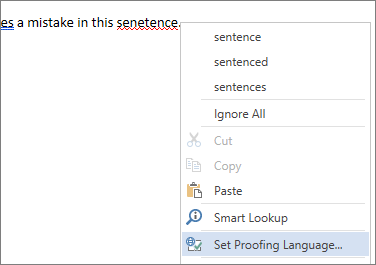 Right-click, and choose Set Proofing Language. Select Don’t check spelling or grammar. 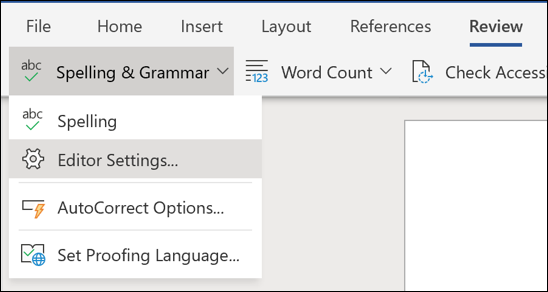 Right-click a single word, or select blocks of text (even the whole document). Clear the Don’t check spelling or grammar check box.